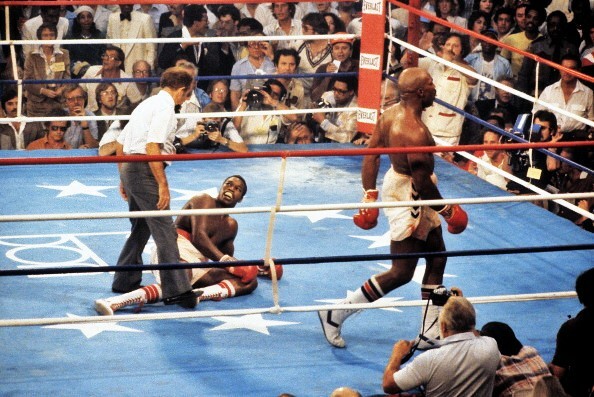 We talk of fighters having a “puncher’s chance,” and indeed that, more than anything else, was what Earnie Shavers brought into the ring at Caesars Palace in Las Vegas on this fateful night, to what was Shavers’ final shot to win the heavyweight championship of the world. Earnie was one of the hardest punchers in boxing history, a fact impossible to refute given the testimony of so many of his opponents, all of whom rated Shavers the most powerful man they had ever encountered. 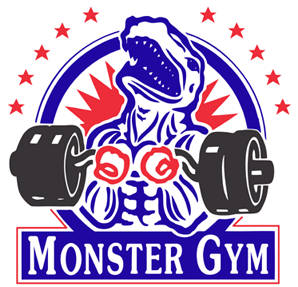 No one questioned the fact that, given the chance, he had the necessary power to knock out almost anyone with a single blow, especially his monster right hand. Two years before Shavers had given Muhammad Ali one of his toughest battles. 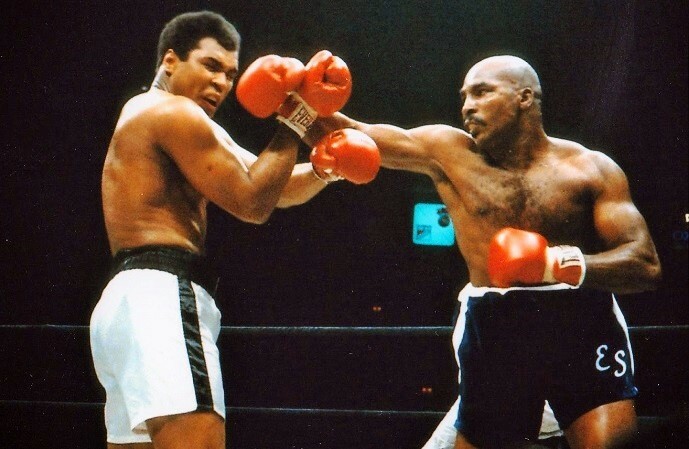 But the heavy-fisted warrior from Ohio also had some serious miles on his 34-year-old frame: 67 pro fights including battles with such tough customers as Ron Lyle, Jerry Quarry, Jimmy Ellis, Henry Clark, Roy Williams and, in a hard-fought 15 round struggle for the heavyweight championship, Muhammad Ali. Thus, Earnie’s second dance with Larry was also his second shot at championship glory, but all knew he wasn’t going to win it by out-dueling the younger, faster Holmes. 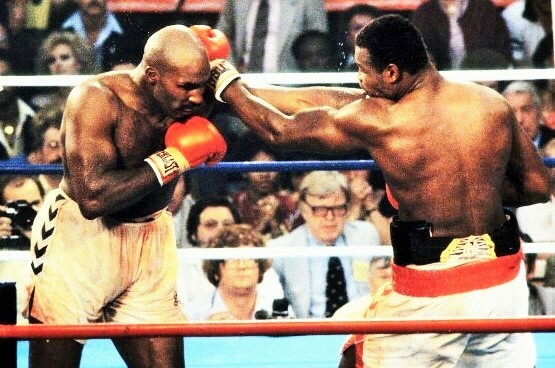 He was going to have to hit pay-dirt with that big right hand of his and render “The Easton Assassin” helpless. 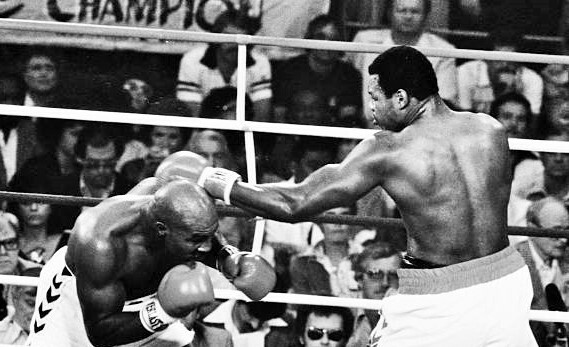 A puncher’s chance was the only chance Shavers had. And everyone knew it. 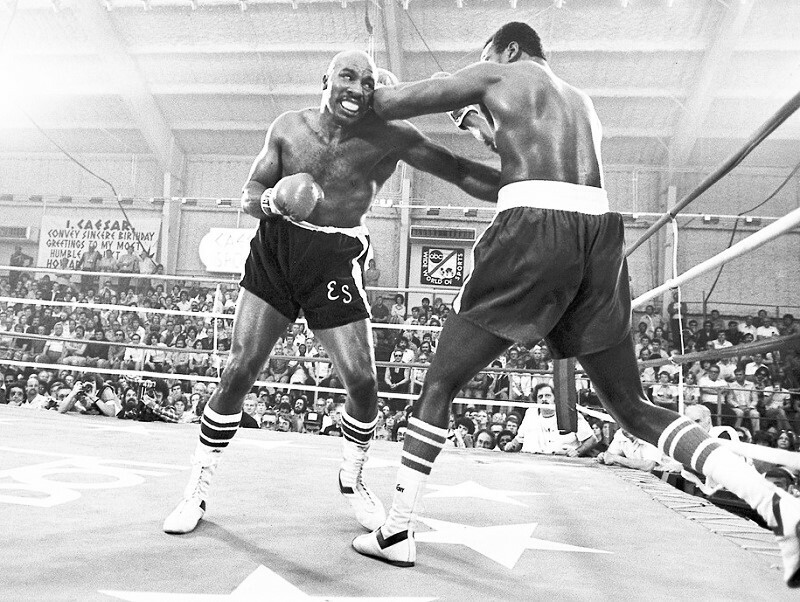 Holmes completely outboxed Shavers in March of 1978. 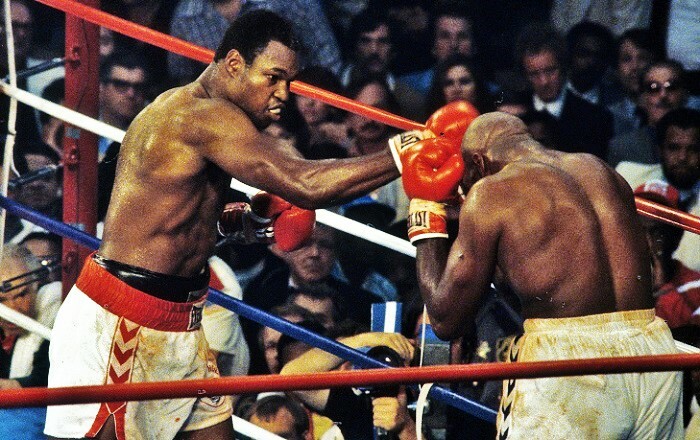 This was because these two had already fought some 18 months previous in an elimination bout to decide who merited a shot at Ken Norton’s WBC title, that belt awarded to Norton after it had been stripped from Leon Spinks. In March of 1978, Holmes proved he was too quick, mobile and talented for Shavers to outpoint; indeed, in that first meeting between Holmes and Shavers most had Larry pitching a shutout. 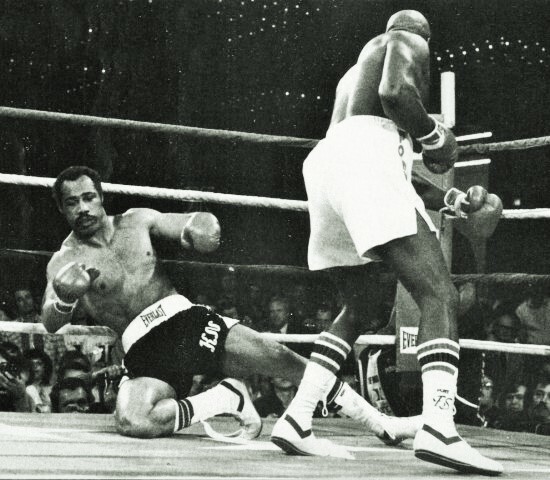 Holmes then went on to win the WBC championship in a razor-close 15 round war with Norton. Norton falls to Shavers in one round. And thus much of the intrigue of the Holmes vs Shavers rematch derived from the fact that six months previous Earnie had faced Norton to decide who got the next title shot and the same man who had given Holmes hell for 15 action-packed rounds was steamrolled by Shavers in less than two minutes. As that fight showed, Shavers always had a puncher’s chance. 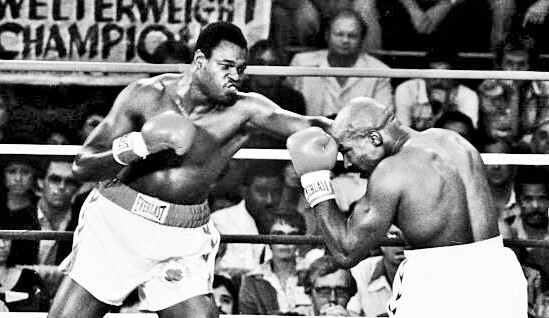 But if anyone thought Larry Holmes was going to make the same mistake Norton did and try to stand toe-to-toe with “The Black Destroyer,” they were woefully mistaken. The young champion was a smart ring technician and from the opening bell he sought to keep Shavers at the end of his stiff and lightning-quick left jab. Setting a brisk pace, Larry seized the initiative, snapping home the left while parrying Shaver’s own leads with his right. Meanwhile the challenger patiently stalked with a malevolent grin on his face; he tried a couple of big right hands near the end of the round but they both missed by sizable distances. And so it went. 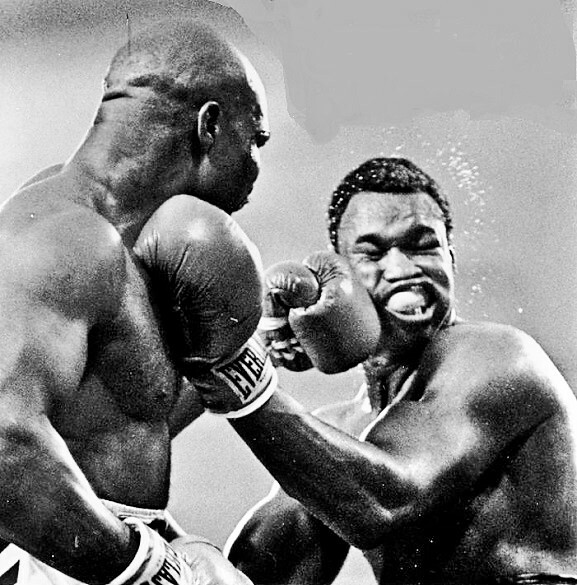 For the next five rounds Earnie Shavers tried to get close and land some big shots, but he failed. 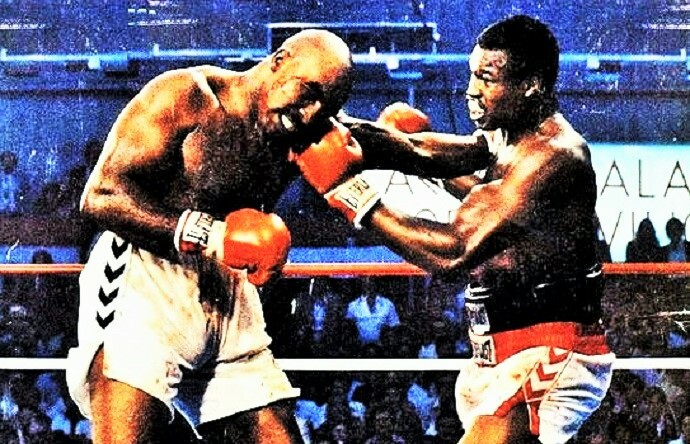 And for five rounds Larry Holmes circled the ring and kept sticking his left fist into Earnie’s face pretty much whenever he wanted, from time to time following up with hard rights. Remarkably quick and light on his feet, the champion appeared much sharper and in better condition than he had three months earlier in his title defense against Mike Weaver, a grueling battle in Madison Square Garden that saw Holmes have to draw on inner resources of courage and stamina to stop the underdog challenger in round 12. Still, Shavers never stopped trying. He landed a glancing right at the end of round two and near the end of the third threatened with heavy left hands to the body and two rights that didn’t land cleanly but still put Holmes on the run. In the fourth he got home more body shots, plus a few rabbit punches, but when he managed to throw his sledgehammer right, it fell embarrassingly short of its target. Meanwhile, Earnie was eating plenty of leather himself, not just jabs but also uppercuts and right hands and in the fourth a cut opened on his left eye. 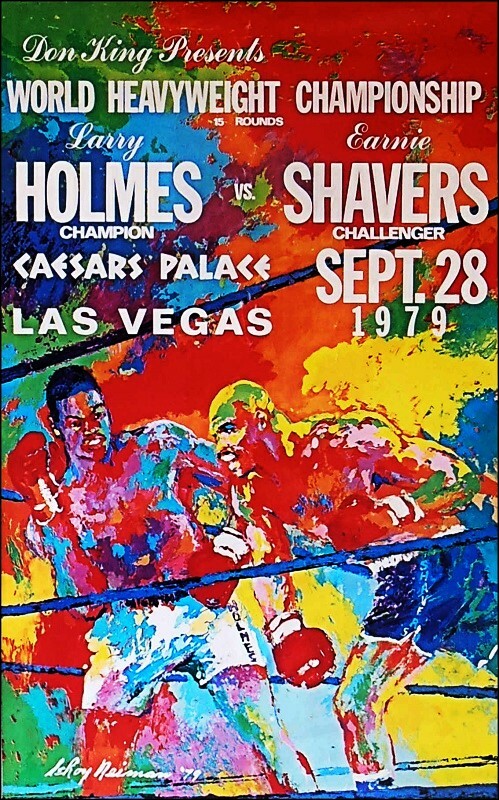 Round five saw Holmes start to throw combinations as an increasingly desperate Shavers hit on the break and let fly more huge right hands that sent a refreshing breeze wafting through Caesars Palace. In the sixth Holmes got up on his toes and danced as he targeted the cut on Shavers eye with his whip-like jab and suddenly there was blood streaming from the other eye as well. Now the champion wasn’t just winning; he was dominating. And then it happened. Holmes opened the seventh with a continuous volley of jabs, reopening the cuts on Shavers’ face and Earnie, knowing the sand was running out of the hour glass, picked up the pace and started unloading ‘Hail Mary’ right hands. The crowd came to life as they saw Shavers finally apply some effective pressure and with just under a minute left in the round, Holmes planted himself and set to throw an uppercut. And that’s when it happened. Shavers beat him to the punch, caught him perfectly, flush, the big right smashing Larry on the jaw and putting him down hard. Shavers’ only chance was a long-shot puncher’s chance, and he had just scored the jackpot. Only a chin of iron saved Holmes from defeat in round seven. The second that deadly blow landed, Holmes was unconscious, but the second his back hit the floor, he woke up. Amazingly, a punch that would have probably felled a rhinoceros could not stop “The Easton Assassin” and he was on his feet at the count of five. The crowd was also on its feet and screaming, as Shavers took up the chase and looked to land the finisher. 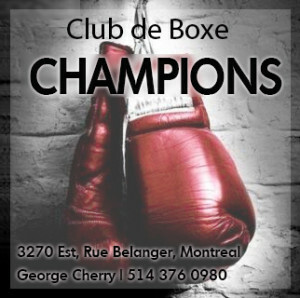 He even trapped the champion on the ropes and landed more heavy blows but Holmes fired back and then there was the bell and with it the end of Shavers’ great chance — the puncher’s chance — to become a champion. Holmes was on the floor again in round nine but it was ruled a slip. And despite the drama and the excitement of the moment, the fight was now effectively over. Shavers, 35-years-old, lacked the stamina to follow up on his advantage while Holmes, now fully recovered, went to work. 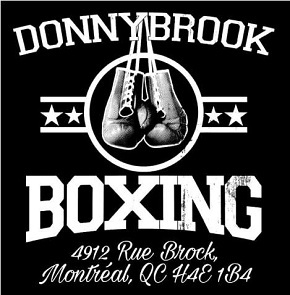 The blood in Earnie’s eyes was blinding him and the punches from the champion were taking a greater and greater toll. Exhausted and battered, Earnie was now simply following Holmes about the ring and taking shots. Shavers almost went down from a series of heavy blows in round nine and in the tenth it was nothing more than target practice for the champion as he unloaded uppercuts and right hands with impunity. Shavers, displaying admirable courage, kept trying to fight back, but he had nothing left. 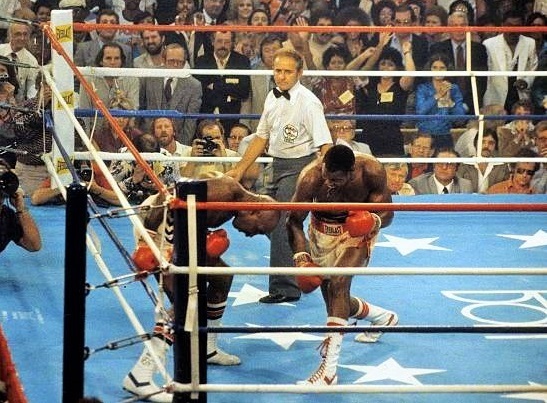 Finally, at the two minute mark of round eleven, referee Davy Pearl halted the one-sided action and declared Larry Holmes the winner. Shavers showed his courage as he took a beating from the champion.